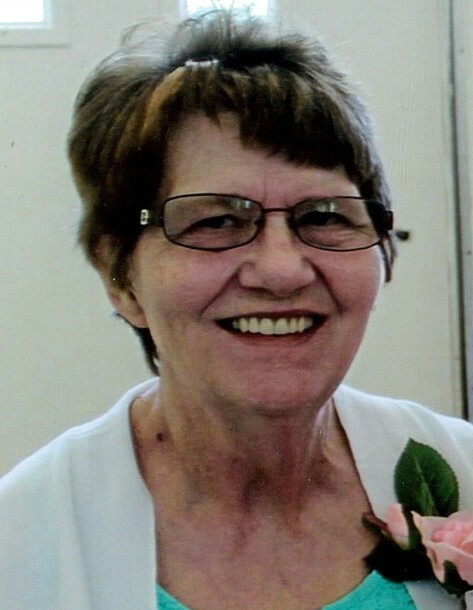 Pamela Marie "Nanny" McQueen Cannon, age 61, resident of Williston and wife of the late Luther “Arice” Cannon, departed this life Monday afternoon, April 15, 2019 at St. Francis Hospital in Bartlett. Funeral Services for Mrs. Cannon will be held at 2 P.M. Thursday, April 18, 2019 at the Peebles Main Funeral Chapel in Somerville with Bro. Rickey Burns, pastor at Williston Baptist Church, officiating. Interment will follow in the Evergreen Cemetery at Williston. A visitation for Mrs. Cannon will be from 12 noon until 2 P.M. Thursday, April 18, 2019 at the Peebles Main Funeral Chapel in Somerville. Arrangements will be provided by Peebles Fayette County Funeral Homes & Cremation Center – Main Chapel in Somerville. Pamela was born October 18, 1957 in Fayette County, Tennessee, the daughter of the late Franklin Delano McQueen and Sylvia Marie Ernest McQueen. She received her education in the Fayette County Public School System and was married March 18, 1972 to Luther “Arice” Cannon, who preceded her in death on May 5, 2004. She was a homemaker throughout her life and a lifelong resident of the Williston area. Pamela loved going to church at Williston Baptist Church, and will be remembered for being a loving wife, mother, sister and nanny to her grandchildren. She enjoyed reading and special times with her family, especially her grandchildren. Mrs. Cannon is survived by her daughter, Candy Lanzarotto (Tommy) of Williston, TN; three sons, Keith Cannon (Carla) of Williston, TN, Kevin McQueen (Cyndi) of Parsons, TN, Kenny McQueen (Amber) of Bolivar, TN; her brother, Frank McQueen (Donna) of Holly Springs, MS; fourteen grandchildren, Britney Quraan (Hakeem), Josh Lanzarotto, Kaitlyn Lanzarotto, Arissa Lanzarotto, Bryanna Cannon, Summer McQueen, Emiley McQueen, Jaden McQueen, Maze McQueen, Coleman Dove, Brian Crabb, Keeley Mercer, Spence Crabb, Hunter Crabb, Tommy Crabb; her great-granddaughter, Kylie Quraan; and her special caregiver, Alice Braxton. In addition to her husband and parents, she was preceded in death by two sons, David Cannon, Little Arice Cannon; and her sister, Sandra Maness. Those honored to serve as pallbearers will be Wesley Cannon, Kenny McQueen, Paul Emerick, Bobby Eddington, Eric Eddington, Alex McQueen, Joshua McQueen and James Swift. Honorary pallbearers will be Robbie McQueen, Hakeem Quraan, Josh Lanzarotto, Dustin Colston and Donnie Warf.